What will new extra-point rules mean to the Browns? 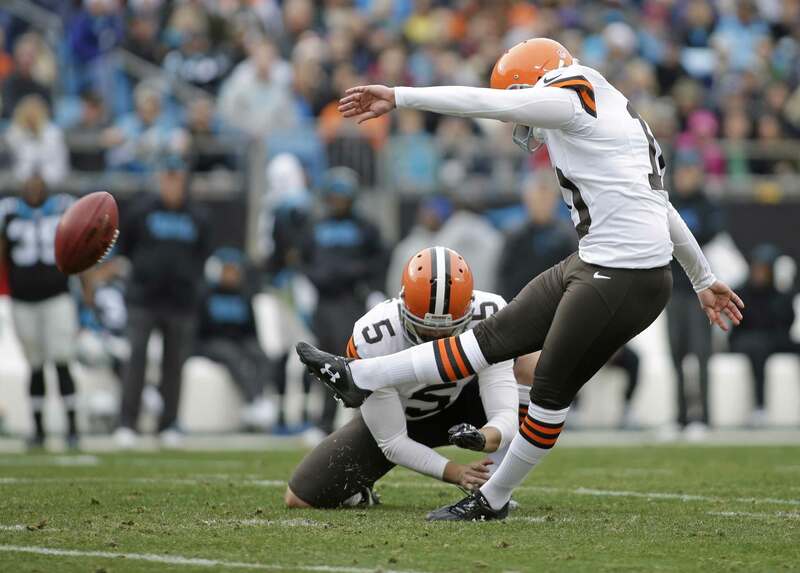 The NFL changed the rules on extra points on Tuesday, but how it will impact the Cleveland Browns remains to be seen. Starting this fall, extra points will be kicked from the 15-yard line, while two-point conversion attempts will still snap from the two-yard line. The new rule, which owners approved by a 30-2 vote at the NFL’s Spring League Meeting, also gives the defense the ability to score two points on returns. One person who is not a fan of the rule change is Cleveland special teams coach Chris Tabor. To see what all the fuss is about, check out our latest post at Dawg Pound Daily.